BenQ, an internationally renowned provider of visual display solutions, today introduced a new 27” 4K UHD monitor that offers professional photographers unprecedented colour accuracy through new AQCOLOR technology, high specifications and a picture-perfect performance. Building on the success of its award-winning predecessor the SW2700PT, the SW271 sets a new benchmark by taking image quality to the next level. The HDR10-enabled monitor allows users to see their images and videos in a wider dynamic range than a typical monitor. This impressive feature has to be seen to be believed. The sleek new SW271 is user friendly and offers colours so true that it brings out the fine detail and creative essence of every photo, whether it’s been taken by a seasoned professional or an amateur hobbyist. BenQ’s AQCOLOR technology allows users to have complete colour control over images. AQCOLOR uses a combination of hardware calibration, BenQ’s signature Palette Master Elements software and Technicolor® Color Certification, which ensures the monitor meets the strict colour accuracy standards used in Hollywood and the entertainment media. The SW271 features 99% Adobe RGB, 100% sRGB and Rec. 709. It also displays the DCI-P3 colour space. Users are given an unrivalled image performance for visual perfection in professional photo editing. The SW271 also features Delta E≦2, with its true 10-bit IPS panel and advanced 14-bit 3D lookup table (LUT). GamutDuo enables users to view content simultaneously in different colour spaces side-by-side, and a Hotkey Puck allows users to effortlessly switch between a variety of modes, such as Adobe RGB, sRGB and Black & White modes. The monitor also features an SD card reader, USB 3.1, USB Type-C, HDMI 2.0, and DisplayPort 1.4 ports. A detachable shading hood is also included to reduce the monitor’s screen glare. The SW271 monitor retails at £1,067 incl. VAT and is available to purchase through leading photo and video retailers. BenQ America Corp., an internationally renowned provider of visual display solutions, today introduced a new 27" 4K UHD (3840x2160) monitor that offers professional photographers unprecedented color accuracy through new AQCOLOR technology, high specifications and picture-perfect performance. Building on the success of its award-winning predecessor the SW2700PT, the SW271 sets a new benchmark for image quality. The HDR10-enabled monitor allows users to see their images and videos in a wider dynamic range than a typical monitor. The sleek display is user friendly and offers colors so true that it brings out the fine detail and creative essence of every photo, whether it's been taken by a seasoned professional or an amateur hobbyist. BenQ's AQCOLOR technology allows users to have complete color control over images. AQCOLOR uses a combination of hardware calibration, BenQ's signature Palette Master Elements software and Technicolor® Color Certification, which ensures the monitor meets the strict color accuracy standards used in Hollywood and the entertainment media. "We are proud to present the SW271, which joins our full line of professional monitors developed for photographers," said Steve Yang, Senior Director at BenQ America Corp. "The SW271 brings users specialized tools and advanced hardware calibration for color-critical applications. It also has USB-C™ connectivity for transmitting video and data signals using just one cable for convenience." With 99% Adobe RGB, 93%DCI-P3 and 100% sRGB/Rec. 709 coverage, users are given an unrivalled image performance for visual perfection in professional photo editing. The SW271 also features Delta E≦2, with its true 10-bit IPS panel and advanced 14-bit 3D lookup table (LUT). GamutDuo enables users to view content simultaneously in different color spaces side-by-side, and a Hotkey Puck allows users to effortlessly switch between a variety of modes, such as Adobe RGB, sRGB and Black & White modes. The monitor also features an SD card reader, USB 3.1, USB Type-C, HDMI 2.0, and DisplayPort 1.4 ports. A detachable shading hood is also included to reduce the monitor's screen glare. The BenQ SW271 monitor retails at $1,099. 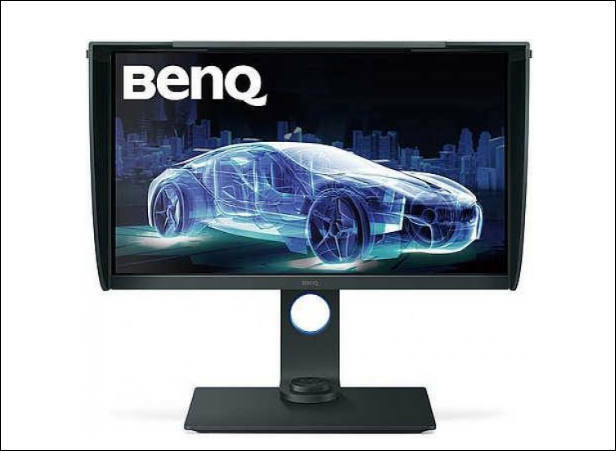 For more information on the SW271, see http://www.benq.us/product/monitor/sw271 and to view the full line of BenQ creative class monitors, visit http://www.benq.us/product/monitor/creative_class/ .